Great experience. Will definitely go back again. Had a great experience here, highly recommend! It was my first 10 Spot experience and it did not disappoint. Serena did an amazing job - well worth it. Love The Ten Spot Ajax ! Great staff , and cleanliness. Serena does my pedicure, manicure, and brow threading perfect every time! Had my first pedicure at the new location and had a nice experience. The technician was extremely gentle and detailed. Checked up constantly to ensure I was pleased. The products used also have a pleasent scent and you didn’t smell any chemicals. Had my very first pedicure at the Ajax location. My esthetician, Serena listened to all my concerns and did an awesome job! Def made me feel like a 10! Will be coming back soon and refer to everyone I know ! Thanks Ten Spot! Josephine is awesome! Very professional and friendly. I would recommend seeing Josephine for any waxing service. What an enjoyable experience... this is by far one of the best salon experiences I’ve had in such a long time. I had several treatments here, all of which were booked online. Waxing, mani and pedi. All services were exceptional from beginning to end. I was greeted warmly by management and Treated with respect and care by Josie. She’s a wax expert and took great care with my delicate areas. She truly loves what she does, and you can tell. The level of attention to detail and professionalism is above and beyond what I have experienced in the past.She was an absolute pleasure. She did all my treatments and I couldn’t be more thrilled with her work. 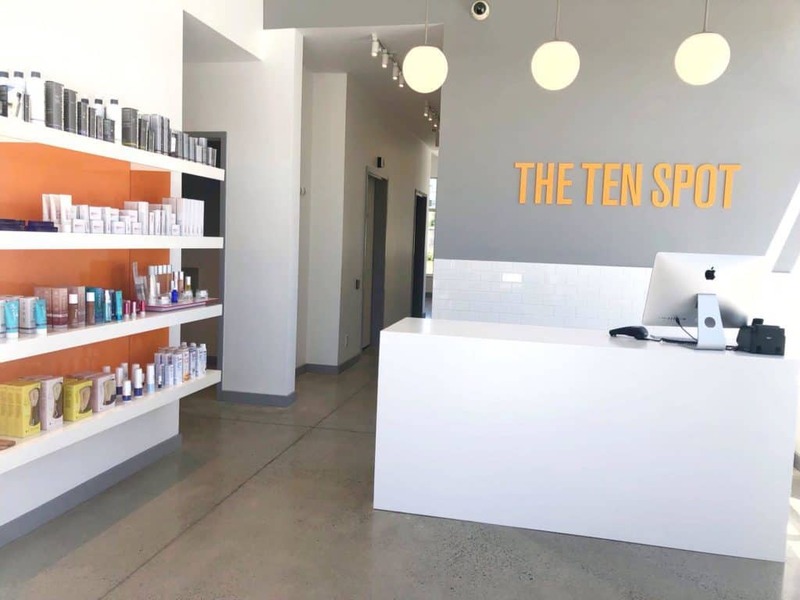 Ten Spot is my new fave salon, not just for the netflix and wax service but for the customer care and employee expertise. I will be back, thank you for a wonderful experience. This was my first experience with The Ten Spot in Ajax! Josephine made me feel comfortable and provided a wonderful experience! The store is well maintained and inviting. I highly recommend this place to relax and rejuvenate. This is my new sanctuary. My experience at The Ten Spot in Ajax was great. Very clean and relaxed atmosphere. Staff was awesome and Serena did a great job on my pedi. My sister and I had the pedi service together and we were able to catch-up with a cup of tea. We had a really nice experience! The girl who’s been doing my waxing, Mandy, is amazing. Before this I was driving to Toronto because I couldn’t find a local place in Durham that I liked. The online booking is also super handy, even if only to see what days/times they’re available before calling in. I've visited multiple locations of The Ten Spot, and my expectations have been exceeded by Serena at the Ajax location. Her attention to detail is exceptional, and having a manicure or pedicure with her feels like hanging out with a friend. I highly recommend both this location, and Serena in particular.